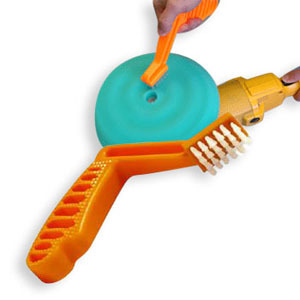 This Foam Pad Cleaning Brush is an OEM specially designed brush to clean and preserve Edge Foam Pads. 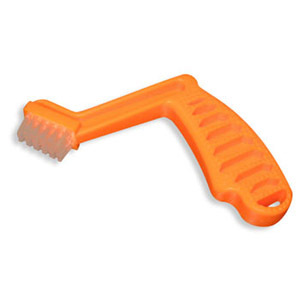 This foam pad cleaning brush has an ergonomic shape, making it easy to apply to any high-quality pad. Its tough construction stands up to constant use in your busy shop and will out last any other foam pad cleaning brush on the market. Although this brush was designed to aid in preservation and conditioning of an individuals Edge Foam Pad, by no means is it limited to Edge products. This brush is perfect to use on any other type of foam buffing pad on the market. Universal Pad Washer Machine - By Grit Guard!